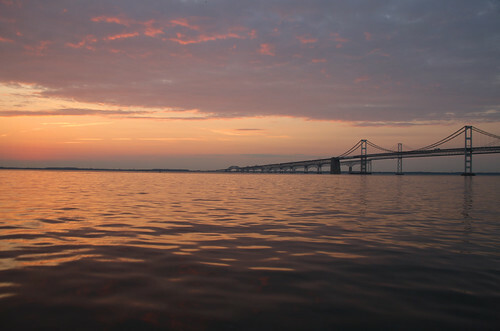 At the end of 2017, I reflected on the progress that we’ve made protecting and restoring our most precious natural resource and treasure, the Chesapeake Bay. Now entering 2018, I want to focus on partnerships and opportunities we have to build on in the coming year. Maryland works in partnership with our fellow states and territories in the Chesapeake Bay Watershed Agreement, which set restoration goals for 2025. It’s been essential that we engage every community in the state – be it local governments, industry groups and scientific organizations – to address our priorities and to meet our goals. The Conowingo Dam, located where the Susquehanna River enters the Chesapeake Bay above Havre de Grace, has long been trapping sediment being washed downstream from the watershed. Recently, researchers from the University of Maryland Center for Environmental Science and the Maryland Department of Natural Resources received federal funding for a plan to deploy newly developed nutrient sensors to gather data on the introduction of nitrogen and phosphorous around the dam. This can provide managers and scientists with key information documenting the effectiveness of mitigation practices. Maryland is also committed to restoring the bay’s oyster population, as this keystone species builds the foundation of a healthy marine ecosystem, cleaning and filtering water. We recently selected Breton Bay and the upper St. Mary’s River to fulfill the state’s commitment to restoring native oyster habitat and populations in five tributaries by 2025, outlined in the watershed agreement. These sites would complement ongoing large-scale oyster restoration activities in Harris Creek, the Little Choptank River and the Tred Avon River. These sites concentrate limited yet targeted resources on existing sanctuaries with the most potential for success, based on the best available science, and enjoy the broad support of both environmentalists and watermen. Boaters comprise another community essential to our success. We continue to grow the Maryland Clean Marina Initiative, through which boatyard and marina owners pass a voluntary evaluation and inspection with the goal of reducing nonpoint source pollution from facilities and recreational boats statewide. Developed in 1998 by a committee of academics, boating industry groups and organizations, boatyard and marina operators, and local and state governments, the program now has over 150 certified Maryland Clean Marinas and Partners. In fact, two Anne Arundel County marinas just came onboard at the end of 2017. And we are now inviting all local governments and nonprofit organizations to apply for funding through the Chesapeake and Atlantic Coastal Bays Trust Fund. Governor Larry Hogan has fully funded this program – marking the first time in state history – which will award about $21 million to local projects aimed at reducing nonpoint source pollution caused by excess nutrients and sediment. The “Trust Fund” focuses on shovel-ready projects and directs critical grant funding to the most cost-effective and efficient water quality improvement projects, targeting funds geographically, engaging communities and holding everyone accountable for results. There is no single government entity, individual or organization with all the answers on saving the bay – it’s all hands on deck. With ongoing and new efforts, with an engaged and informed citizenry, with the support and cooperation of every community and stakeholder, Chesapeake Bay restoration is on track to make even more progress in 2018…and beyond to 2025. I wish you a happy, healthy and prosperous 2018, and as always I look forward to seeing you outside.